For years, Guadalajara México has gained the reputation as a posh Mexican metropolis far from the tourist-trodden dream beach vacation destinations that Mexico is often known for. Although Guadalajara doesn't fall on the Rivera Maya’s most-sought-after tourist trail, the colonial city is a must-visit destination if visitors seek a quintessentially Mexican experience. Guadalajara is vast, and more popular for two symbolic exports: tequila and music that are truly synonymous with the local culture, México lifestyle and fiesta. Although this is the most ignored destinations among tourists, many sommeliers and connoisseurs always find their way to this metropolis in search of the finest Mexican cuisine, drinks and for an intimate traditional dining experience. Mariachi music, which is emblematic to Guadalajara, draws many music lovers to this not-so-touristy city for some music and fun. Guadalajara, which was once known for its religious catholic communities and orthodox culture, proudly boasts a thriving LGBT scene at present. Therefore, the present cultural scene here has a more fusion essence with visitors from all parts of the world. Whether it is the free concerts, lively nightclubs or best rated weekend flea markets, the city of Guadalajara has everything to please its patrons. For history and culture enthusiasts, there is the Los Arcos de Guadalajara, Sergio Bustamante Art Gallery and the city historic center featuring the famous twin-towered cathedral, and the 17th-century basilica in the Zapopan district. Witness some of the critic acclaimed murals by José Clemente Orozco with a tour to the Hospicio Cabañas. This UNESCO listed historic site is a true bliss for all art lovers. Plus, the neighborhood Mercado San Juan de Dios offers a plenty of shopping opportunities for guests and visitors alike. For an intimate street shopping experience, visiting Guadalajara’s colorful Tlaquepaque neighborhood is highly recommended. The area boasts a small town charm with colorful homes, quaint streets with manicured pavements for pedestrians, and a chain of local stores and boutiques that border the streets of this bustling neighborhood. Shopaholics and avid shoppers can dig into the shops selling locally handmade items, leather goods, hand-painted items, glass ornaments, Mexican peasant clothing and many beautiful souvenirs from all parts of Mexico. Needless to say, a Guadalajara vacation is incomplete without a Tequila day trip. 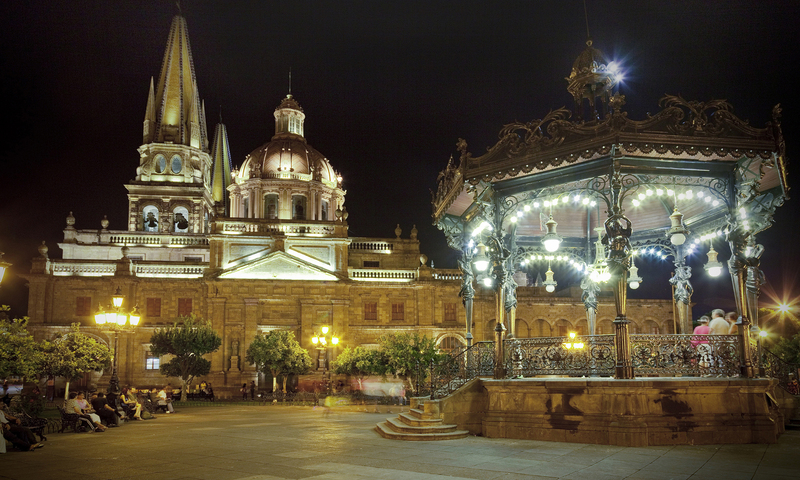 The iconic town sits on a rugged terrain of a volcanic basin, which is just an hour’s drive from Guadalajara. 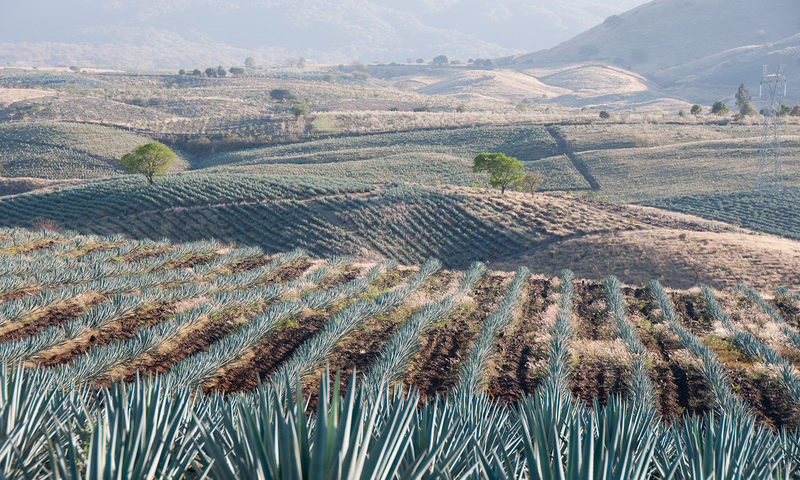 While a self-guided tour may sound convenient, taking the train ride and tour to explore the Jose Cuervo Company and its century-old distillery and touring the scenic blue agave plantations is something you must not miss. Nature enthusiasts may love spending time at the Sierra Madre Occidental offering some spectacular views of the valley and the canyons. Truly, this Mexican cosmopolitan is a business and cultural epicenter of Jalisco that offers a potential real estate investment México opportunity for many. The thriving downtown, quintessentially the town’s main business district, has a number of multi-national companies and head-quarters of tech corporations. Therefore, families with young children and couples find the city a desire living México destination for a new home or to invest in México real estate. For international buyers, there are vacation rentals, apartments for lease or purchase, and luxury penthouses too. No wonder, Guadalajara is one among the popular realtor Sotheby’s destinations México list for hot real estate investments.